Careers in science, technology, engineering and mathematics (STEM) will increase over the next few decades, so it’s understandable that many parents are looking for ways to spark their child’s interest in STEM. And it’s not hard to get them interested! STEM can naturally excite kids because they are innately fascinated with building things, taking them apart and then putting them back together to see how they work. STEM-related activities encourage discovery and open up imaginations! Affordable, after-school programs and camps in Robotics, Engineering, Coding and Math at Sylvan Learning Centers help kids build a love of STEM at an early age. These school programs and camps benefit students when they enter the workforce, because those who go on to work in STEM fields earn an average of 26% more than their non-STEM counterparts, according to the federal government. It’s also notable that the top 14-highest paying bachelor degrees were all in engineering. This National Engineers Week, Feb. 21-27, we’d like to offer some advice for parents looking to make STEM a bigger part of their children’s education. Studies show early exposure to STEM is one of the greatest factors in whether students continue to seriously pursue STEM in their studies. Give your children a strong start by introducing them to STEM professionals that can educate and inspire them on what the future holds. It not only raises awareness of different fields, but it makes a STEM career more tangible. Children love learning about what adults do—and most adults love talking about what they do—so reach out to local engineering, programming, or design firms in your area and ask them to speak at your school or PTA meeting. The more opportunities children get to meet people in STEM-related fields, the cooler (and more real) the future can become. After-school STEM programs and summer camps are on the rise and parents can find lots of affordable experiences in the area. Look for STEM programs that have project-based learning that give kids the hands-on experiences they love. Consider STEM camps during the summer or after-school programs throughout the year. It’s something you can fit in your schedule like other extracurricular activities such as sports or dance—just having them work out those important brain muscles. Many science and technology museums offer “STEM days” featuring fun STEM-related activities and many libraries have STEM clubs. It’s also exciting to take young ones to a local science event—or even a Maker Faire. When they see what the older kids can create, it can generate a spark like nothing else! See if your school is offering after-school STEM programs and enroll. If your school isn’t currently offering after-school programs, we would be happy to talk to you, your PTA or your school administration about options to bring turnkey solutions right to your school for Coding, Engineering, Robotics or Math. We love STEM. And what’s cool about kids doing STEM is that it challenges them to experiment, test and troubleshoot when something goes wrong, developing strong problem-solving skills that are valuable in all aspects of their life! 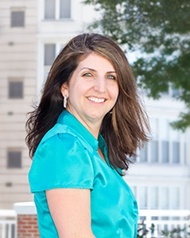 Amy Przywara is the chief marketing officer for Sylvan Learning. She likes to read, attend sporting events and travel with her husband and three children. Sylvan Learning is a financial sponsor of National PTA. National PTA does not endorse any commercial entity, product, or service, and no endorsement is implied by this content.